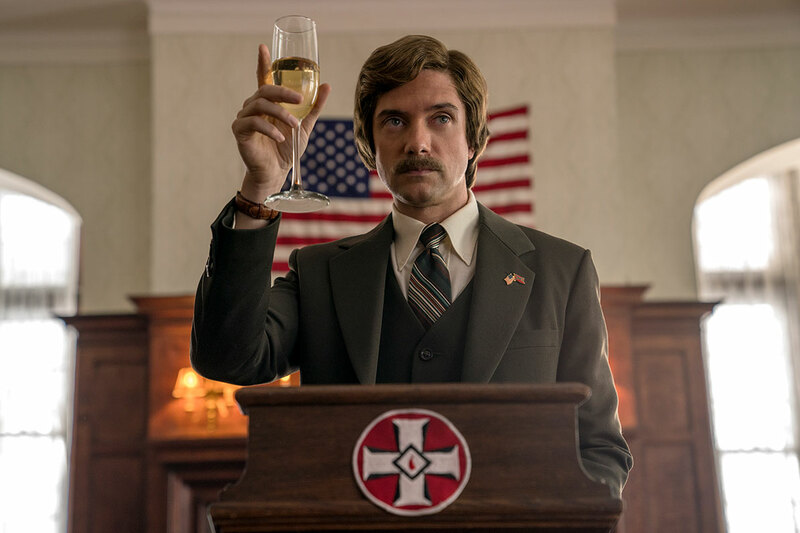 Topher Grace first caught the attention of audiences as one of the stars of the iconic television series, “That ‘70s Show,” before going on to make his mark on the big screen in numerous films. Prior to Spike Lee’s BlacKkKlansman, Grace shot the feature Under the Silver Lake, opposite Andrew Garfield. The film is a noir crime thriller set against the backdrop of L.A.’s Silver Lake neighborhood. Both films will have their world premiere in this year’s Cannes Film Festival. He is currently in production on the Fox 2000 feature film Breakthrough, based on Joyce Smith’s book about her 14-year-old son who fell through a frozen lake one winter and was proclaimed lifeless. Grace plays the small town’s hip new pastor who helps the mother through this horrific time, galvanizing the town. Grace was recently seen in the David Michôd Netflix black comedy War Machine, opposite Brad Pitt. Based on Michael Hastings’ book The Operators: The Wild and Terrifying Inside Story of America’s War in Afghanistan, the film follows a four-star U.S. military general charged with commanding NATO forces in Afghanistan who is taken down by his own hubris and a journalist’s no-holds-barred exposé. Prior, Grace starred in the Sony Pictures Classics drama Truth, opposite Robert Redford, Cate Blanchett, Dennis Quaid, and Elisabeth Moss. The film tells the true story of a group of journalists—with Grace portraying researcher Mike Smith—who uncover a conspiracy that would bring down President George W. Bush’s presidency. On the big screen, Grace won the National Board of Review award for Breakthrough Performance by an Actor, as well as a New York Film Critics award, for his roles in In Good Company and P.S. in 2004. As a member of the ensemble cast in Steven Soderbergh’s Traffic, he also won a Screen Actors Guild Award in 2001. Additional film credits include Christopher Nolan’s Interstellar; Gary Marshall’s ensemble Valentine’s Day, opposite Anne Hathaway, Bradley Cooper, Jamie Foxx and others; Sam Raimi’s Spiderman 3; Robert Luketic’s Win a Date with Tad Hamilton; Mike Newell’s Mona Lisa Smile, opposite Julia Roberts; and Soderbergh’s Ocean’s Eleven and Ocean’s Twelve, among many other memorable roles including, most recently, American Ultra, opposite Jesse Eisenberg and Kristen Stewart. On the small screen, along with “That ’70s Show,” his credits include Curtis Hanson’s Golden Globe winning TV film, “Too Big to Fail,” for HBO. He also appeared in “The Beauty Inside,” a 2012 social film developed by Intel and Toshiba. Directed by Drake Doremus and co-starring Mary Elizabeth Winstead, the film is broken up into six episodes interspersed with interactive storytelling that all takes place on the main character’s Facebook timeline. Grace won a Daytime Emmy in the category of Outstanding New Approaches—Original Daytime Program or Series. In 2014, Grace made his Off-Broadway debut in Paul Weitz’ acclaimed “Lonely, I’m Not,” opposite Olivia Thirlby, for Second Stage.